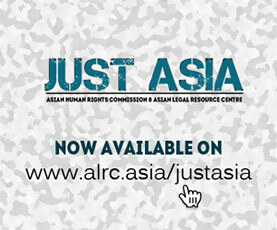 The Asian Human Rights Commission (AHRC) has received detailed information from the Yoma-3 News Service (Thailand) and other sources that former local government officials in Burma are taking revenge against a villager who on 31 January 2005 for the first time obtained a conviction over forced labour there (UP-11-2005). A case has been instigated by the former officials through a new village tract head and is in court at present against Ma Su Su Nwe, the villager who successfully accused them of having forced villagers to work against their will. The former officials have accused her of damaging their reputations. There are also fears for her personal safety, as she has aroused the animosity of powerful local figures, and has on at least one occasion been verbally threatened. We request you to write letters to the concerned government authorities expressing concern over the latest developments in this case, which follow earlier cases of persons being prosecuted after alleging forced labour (UP-64-2004). According to the information received, the local authorities from Tanmanaing village tract who were found guilty on 31 January 2005 of having forced villagers to do road works against their will (UP-11-2005) have now started legal action against Ma Su Su Nwe, the villager who initiated the action against them. The four former officials who were found guilty, consisting of two chairmen of village tracts and two committee members, first appealed against the decision of January 31, but their appeals were rejected in the district court. However, the divisional court of Rangoon has accepted appeals that the sentences handed against them–from eight to 16 months’ imprisonment–be amended. It began hearing the case on March 25. In keeping with long-standing arguments by government authorities in Burma, the lawyer representing the officials argued in court that the labour was not forced but that it was part of national tradition to donate one’s services. Many government officials, including the superiors of the accused men, came to the court in their support. All of the four accused have been free since the verdict against them in January. Meanwhile, in mid-April the officials initiated counter legal action against Ma Su Su Nwe. The new village tract chairman U Kyaw Lwin has brought the case under sections 500, 504 and 506 of the Penal Code, alleging that Ma Su Su Nwe swore and spoke offensively in public about the officials. Ma Su Su Nwe has denied the allegations. On May 18 the Kawhmu Township Court began the preliminary hearing into whether or not Ma Su Su Nwe had damaged the officials’ reputations. One person present in the court has said that the evidence given against Ma Su Su Nwe was not strong and it was clear that the local authorities had coerced the witnesses to come before the court. The court will make a preliminary decision on whether or not the case will go ahead this May 27. If the case proceeds and Ma Su Su Nwe is found guilty, she could reportedly be fined or put in jail for up to three years. In another development, it has been reported that on May 19 senior officials of government-sponsored organisations met and discussed the case, including the Union Solidarity and Development Organisation and Myanmar National Committee for Women’s Affairs. According to the information given by sources, they discussed that if the local government officials obtain a conviction against Ma Su Su Nwe then it will cause more problems. They reportedly discussed that it would be better if she could be forced to flee Burma for the border areas like many other persons who have suffered persecution at the hands of the authorities. They also reportedly put forward tactics to make life unbearable for her, such as by making personal attacks on her reputation. Ma Su Su Nwe has also alleged that the chairman, U Sein Paw, and secretary threatened her on at least one occasion. In mid-April as they passed her in a vehicle on the road they remarked that it would “be better if she was beaten to death”. The latest developments in Ma Su Su Nwe’s case unfortunately follow a predictable trend in Burma where persons who have accused government officials of any kind of wrongdoing soon face counter-allegations and action (see for instance UP-64-2004). In particular, the use of defamation charges is an easy way for local authorities, which coerce villagers to act as witnesses on their behalf, to get revenge against complainants (AS-38-2004). It is also easy for these authorities to set-up villagers on other spurious charges, such as in the recent case of Ko Sein Win, who was convicted of having an illegal lottery ticket after organising a farmers’ petition against onerous paddy production and procurement policies (UA-175-2004). However, Ma Su Su Nwe’s case is complicated by the fact that she is the first person to have successfully obtained a conviction against government officials on a forced labour charge after the practice was prohibited in 1999. The Rangoon branch of the International Labour Office (ILO) has also paid particular attention to her case and has much riding on its success. If Ma Su Su Nwe is defeated in court or driven out by the authorities it will have a damaging effect on the work of the ILO in Burma and on the confidence of other persons seeking to take action against authorities who are involved in forced labour practices. On May 11, in a press conference in Bangkok to present the annual report on the situation in Burma, the ILO staff are reported to have said that the organisation was closely working on the case of Ma Su Su Nwe but could not guarantee her security. The ILO also said it had received 72 complaints of forced labour through its Rangoon office by late 2004, 38 of which were sent to the authorities for follow up action. Like Ko Khin Zaw and U Ohn Myint in Henzada Township, Ma Su Su Nwe has taken on the case as a matter of principle and as a human rights defender, rather than merely in her own self interest. She has said that she is not afraid of the threats or intimidation and wants to set an example for other people in Burma. In a recent interview she said that she is prepared to accept whatever the consequences may be. In recent weeks she has received accolades from inside the country for her struggle. Please write to the Attorney General and other officials raising concerns about this case. A suggested letter for the Attorney General follows. Please be assured that as this is becoming a high-profile case, initiated by an ordinary villager, your letters will have an effect in how the authorities deal with it. Please note that for the purposes of these letters, the country should be referred to by its official title of Myanmar, rather than Burma; and the capital as Yangon, rather than Rangoon. I am most disappointed to hear that Ma Su Su Nwe, the villager who on January 31 obtained the first successful conviction against government officials for forced labour in Myanmar--in accordance with section 374 of the Penal Code and Order 1/99 and its Supplementary Order-- is now facing counter legal action from the local authorities. According to the information I have received, U Kyaw Lwin, new Chairman of the Tanmanaing Village Tract Peace and Development Council, has brought a case against Ma Su Su Nwe on behalf of the former chairman U Sein Paw in the Kawhmu Township Court under sections 500, 504 and 506 of the Penal Code. It is evident from the information received that this legal action is a form of revenge by the former officials, who resent what has happened to them and have fought to have the conviction overturned or sentences quashed. The action is reminiscent of the case of Ko Khin Zaw and U Ohn Myint, who were found guilty of defamation in a similar process in the Henzada Township Court on 7 October 2004. I urge you to see to it that in this case and others the law in Myanmar is not used as a weapon to unjustly attack innocent persons who challenge the wrongdoing of government officials. In particular, I urge you to review the statutes pertaining to criminal defamation so that it is removed from the law and such spurious legal actions by government officials are denied. Criminal defamation has in recent years been condemned globally as offensive to basic rights. Many countries have recognised that criminal defamation is obsolete, and have removed it from the statute books. Among the principal reasons for its removal are that criminal defamation cases are used to intimidate citizens from asserting their basic rights, as in this instance. In particular, under no circumstances should criminal defamation be available to government agents criticised for their actions by citizens acting in the public interest, and with regards to the official duties of those concerned. I am also deeply concerned by allegations of Ma Su Su Nwe that U Sein Paw and another official threatened her in mid-April, remarking that it would "be better if she was beaten to death". Needless to say, where anything untoward happen to her it was lead to great suspicions being cast upon the role of the local officials. Finally, I urge you to further your government's relationship with the mission of the International Labour Office in Yangon to ensure that Order 1/99 and the Supplementary Order are effectively implemented without further delay, and that complainants under Penal Code section 374 are offered protection in making their complaints. These discussions should be undertaken both with specific reference to the above-mentioned case, and any others pending.